helping people with age-related low vision. In addition, there will be time for Q&A. 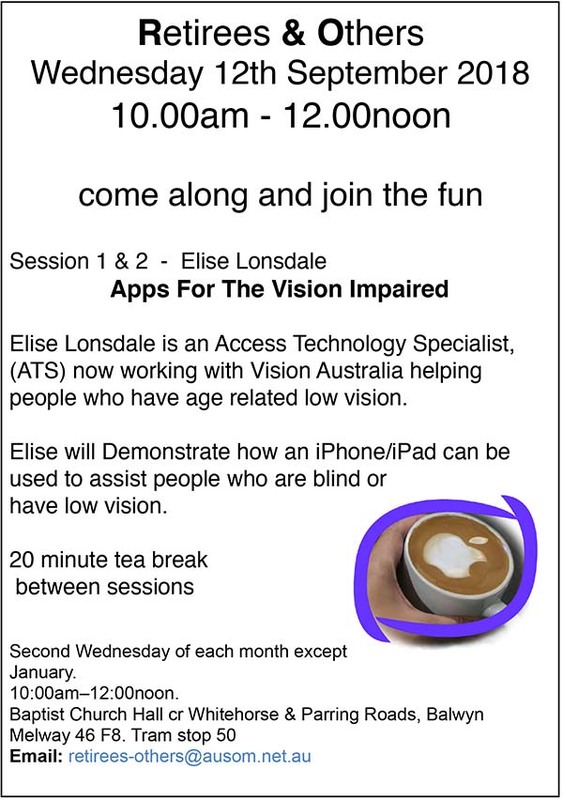 iPhone/iPad can be used to assist people who are blind or have low vision. 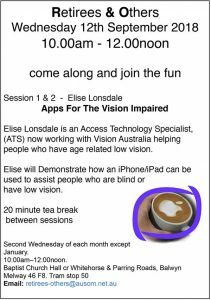 Session 2 (11:10 – 12 noon): Even further information from Elise. Meetings: Second Wednesday of each month except January. 10:00 am–12:00 noon. If you need a larger view, click on the photo. Have your membership number handy and consider your vote carefully as there is only ONE vote per member.